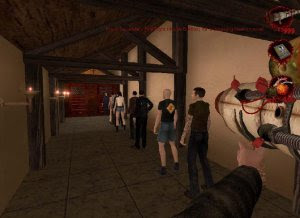 Postal 2: Share The Pain lets you spend a week living the life of Postal Dude -- a guy on the edge, who could snap at any moment. Will he become a pacifist or a bloodthirsty killer? It's totally up to you! It's over-the-top, violent and absurd humor for the gamer craving a new kind of shooter.